For some time now, artificial intelligence has been revolutionizing the way we see banking, fintech, retail, education and even the medical system. At this point, it is clear for everyone that whatever future we might have, AI will definitely be part of it. The thing we don’t seem to agree on is how good will such technology be for humanity. On the one hand, a lot of experts believe that AI advancements will bring much value and will help humans improve their existence over the next decades. And on the other hand, we have those who worry that, in time, we might start to change our idea of what it means to be human. In the summer of 2018, a group of technology pioneers, innovators, developers, business leaders and policy makers have debated on the exact topic and reached an unanimous conclusion. They predicted that artificial intelligence will augment human effectiveness, but also threaten human autonomy and capabilities. They also discussed the possibility of systems becoming so smart that they could actually be better than humans even at what is now impossible for AI to do: complex decision-making, reasoning and learning. In a recent interview, Bill Gates has also declared that “artificial intelligence is both promising and dangerous, like nuclear weapons and nuclear energy”. However, Microsoft’s co-founder believes that medicine and education can and should be the main areas that benefit from what AI can bring to the table. The matter of whether humans will be replaced or not by machines haunts most of our dreams since AI has become almost ubiquitous in our lives. Nowadays, there’s almost no industry that has not deployed artificial intelligence technology. Banks are using it to detect fraudulent transactions and make predictions, retailers save a lot of time and money by adding AI capabilities for inventory and shelving and there are even hospitals that adopt it to help doctors identify certain diseases. Furthermore, data shows that more than a third of US hospitals actually have at least one robot that can perform surgeries. With the possibility of machines someday really thinking and acting like (or even better than) us, everything seems to point towards humans becoming obsolete. How not to worry? Job security has always been one of people’s main worries over the years. And with AI disrupting so many domains, our replacement has become more of a fact than a possibility. Apart from the repetitive and predictable tasks, there are also a number of white collar jobs that might be done (better) in the future by an AI system. Lawyers, doctors, writers or journalists are also at risk of being replaced by machines. But such technological development will bring so many other changes and innovations that we will not be able to address at once, which means new skills and capabilities will be required from humans. This will lead to new jobs being created, thus adding different opportunities for individuals. The hypothesis of AI creating more jobs than it replaces is also confirmed by a Gartner study, which predicts that in 2020, AI will create 2.3 million new jobs while eliminating 1.8 million traditional jobs. DevOps is an IT related concept heavily debated, marketed, talked-about in the industry for quite some years. What I love most about it is that it continuously improves; it is like a living organism, as any IT company built on people’s creativity, passion and knowledge. As I see it, if DevOps would be a person, automation would be its heart, communication and knowledge sharing would be its blood, agile product management would be its brain while servant leadership (or even further — transformational leadership) would be its breathing air. 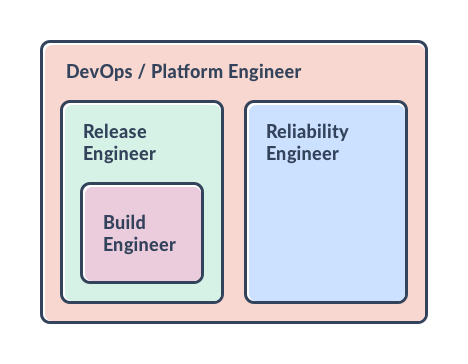 In this article I am going to have a look at the DevOps heart and how could we keep it pumping. In a DevOps environment, practices such as continuous integration, continuous delivery, continuous deployment, continuous monitoring, continuous testing, self-healing, auto-scaling are a must; and all these can only be achieved by automating workflows, operations, whatever repetitive task that implies human effort. In order to cover this automation need, several job titles appeared in the market: Build Engineer, Release Engineer, DevOps Engineer, Site Reliability Engineer, [Cloud] Platform Engineer and some other flavors of these ones. Of course, passionate debates and quite very well documented papers appeared on what exactly does it mean one or the other, how do they overlap, how do they complement and in which kind of organizational structure do they fit (if curious about it, please see the references of this article). The understanding and the usage of these job titles depend also on the geographical location, in direct correlation with how many companies/teams have adopted DevOps (culture, methodology, processes, and tools). As reference, in the 2017 State of DevOps Report done by Puppet & DORA, it is stated that 54% of the software teams have adopted already DevOps in North America, 27% in Europe and Russia and 10% in Asia, so I expect some differences in the maturity level, thus in the job-related titles (implicitly, in roles & responsibilities). One of the main areas we’re starting to see the proven power of artificial intelligence is in the retail sector. Whether it’s a robot salesclerk whizzing down the aisles, ready to assist customers in need of directions, or number-crunching systems that make sense of big data rendering it both manageable and actionable to help a company make informed decisions that will positively impact its bottom line. There’s no denying that we’re only beginning to discover the value of what AI can bring to the table when it comes to sales, service and support to enhance the customer experience. One proven example of the move towards making large volumes of data meaningful within the retail ecosystem is Salesforce Einstein, a robust set of services that brings sophisticated AI activities into Salesforce’s existing popular CRM. With Einstein, retailers can transform business, as usual, helping every department to run efficiently and do what they do best for their valued customers. The company can offer predictions and recommendations based on customer data and develop apps that will transform how shoppers interact with its online and physical stores. Read more about how AI is impacting e-commerce in this article written by OSF Commerce, an OSF Global Brand. Together with the rise of Java, Java Applications Servers (e.g Tomcat, IBM WAS) also came into the game. The idea of an application server was to have one JVM and to run multiple deployments (e.g. jar, ear, war), this way the memory footprint necessary for running lots of processes can be reduced. Historically, the teams were well-defined in application administrators that could also be responsible with the operations aspects and developers with a focus on developing the business features of their product and not so much on how their code runs in terms of performance, reliability and so on. App admins instead, took a heavy interest in how the code is running on their administered applications so they would have a stable system. As one of them, even with optimized code, I still had a job that killed that Java process on a 24h basis, just to be sure, considering that we had processes that just froze after 1 week. Then containers were launched and the idea that everything can be packed in images and those images can run anywhere. Kubernetes would be used for orchestration, monolith applications would be migrated to the cloud, by re-writing them in microservices. The app admins will remain to administrate the monolith and the developers will go and build new small applications based on microservices in Docker. In some of these new teams, there were no application administrators, to raise awareness on JRE, JVM and the garbage collector related issues, and no one else took care about this aspect. Instead, Kubernetes is used to deploy our newly shiny Docker images. So, there are not too many people to wonder if Java is really suitable for this kind of architecture from a reliability point of view. As an old app admin to a new SRE position, I learned about Golang, which looks like a much better alternative for microservices. Meanwhile, all Kubernetes is full of Java code and there are apps that cannot start if they have not a minimum of 200MB of RAM because Java code runs into a container image with its own JWM, JRE, JAR, CVE security patches and so on (all with an Image size 500+ MB). (*both Java and Go screenshots are from services that run for at least 1 day). Software development is trending toward building systems using small, autonomous, independently deployable services called microservices. Leveraging microservices makes it easier to add and modify system behavior with minimal or no service interruption. Because they facilitate releasing software early, frequently, and continuously, microservices are especially popular in DevOps. But how do microservices affect software testing and testability? Are there new testing challenges that arise from this paradigm? Or are these simply old challenges disguised as new ones? Join Tariq King as he describes the pros and cons of testing under the microservices architecture. Learn how to develop a microservices testing strategy that fits your project needs—and avoids common pitfalls and misunderstandings. Whether you’re already using microservices or just considering making the shift, come and engage with Tariq as he brings clarity to testing in a microservices world. Tariq King is the senior director and engineering fellow for quality and performance at Ultimate Software. 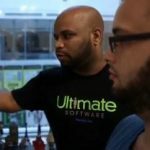 With more than fifteen years’ experience in software testing research and practice, Tariq heads Ultimate Software’s quality program by providing technical and people leadership, strategic direction, staff training, and research and development in software quality and testing practices. Tariq is a frequent presenter at conferences and workshops, has published more than thirty research articles in IEEE- and ACM-sponsored journals, and has developed and taught software testing courses in both industry and academia. His primary research interest is engineering autonomous self-testing systems. He is cofounder with Jason Arbon of the Artificial Intelligence for Software Testing Association. Lunch and Coffee Breaks included in the price of the Masterclass. Why is The Terminator scenario in AI unrealistic? Modern AI focuses on automated reasoning, based on the combination of perfectly understandable principles and plenty of input data, both of which are provided by humans or systems deployed by humans. To think that common algorithms such as nearest neighbour classifier or linear regression could somehow spawn consciousness and start evolving into superintelligent AI minds is farfetched in our opinion. The idea of exponential intelligence increase is also unrealistic for the simple reason that even if a system could optimise its own workings, it would keep facing more and more difficult problems that would slow down its progress. This would be similar to the progress of human scientists requiring ever greater efforts and resources from the whole research community and indeed the whole society, which the superintelligent entity wouldn’t have access to. Read more about the doomsday scenarios within the AI field in this article written by Strongbytes. Having discovered the power of artificial intelligence, people all over the world are doing their best to integrate its capabilities into their businesses. According to data from Gartner, by the end of 2020, 20% of citizens in developed nations are expected to use AI for everyday operational tasks. Customer-oriented systems such as text chats, voice systems and chatbots are no longer a novelty. They can carry on human-like conversations and deliver expert advice at a low cost. A lot of banks and companies offering financial services have these capabilities in place. The use of AI in this field brings a major improvement to the decision-making process by turning it into a faster and more reliable one. This translates into allowing more people to apply for a loan or credit, thus increasing their chances of actually getting it. Since the advent of electronic commerce and online banking, payment fraud is a constant in our lives. A 2018 report from McAfee shows that the cost of cybercrime currently reaches 0.8% of the global gross domestic product. The most prevalent type of financial cybercrime is credit card fraud, which grows at a fast pace due to the increase in online transactions. But AI tools and machine learning algorithms are quite successful in detecting financial fraud. Read more about the topic in this article written by our friends from Strongbytes. There is a principle in ethics that forces us to carefully think about the consequences of an action and consider whether its moral value is determined solely by its outcome. The trolley dilemma is a classic experiment developed by philosopher Philippa Foot in 1967 and adapted by Judith Jarvis Thomson in 1985. The situation goes like this: You see a runaway trolley moving toward five tied-up (or otherwise unaware of the trolley) workers on the tracks. You are standing next to a lever that controls a switch. If you pull the lever, the trolley will be redirected onto a side track, and the five people on the main track will be saved. However, on the side track there is a single person just as oblivious as the other workers. The ethical dilemma that arises is if you should pull the lever, leading to one death but saving five? Or should you just do nothing and allow the trolley to kill the five people on the main track? The fourth revolution, powered by artificial intelligence, is adding cognitive capabilities to everything, and it is definitely a game changer. We are using AI to build autonomous vehicles, to automate processes, jobs and in some cases, even lives. Considering the impact it will have on individuals and also on the very future of humanity, addressing the topic of ethics is a must. Although the Luddite movement ended a long time ago, some people still have a sense of fear and anxiety when it comes to technology and automating jobs. And with the development of AI systems, there’s currently a general debate whether or not the machines will steal all the jobs. Tech Conferences – why bother? IT is a man’s world, but IT wouldn’t be nothing without a woman or a girl… Perhaps this is what James Brown would’ve said if he was still alive and working in the tech field. And here we are in 2018, still dealing with gender inequality and boys’ clubs around most of the tech industries. This is where communities like Women in Tech enter the stage playing their role by the book. As part of this global movement, Women in Tech Cluj organize monthly meetups during which they discuss trending topics in Cluj, the so-called Silicon Valley of Transylvania. More and more, both men and women in the tech community want to hear a female perspective. After all, introducing diverse viewpoints into any conversation adds a depth that helps us better understand and resolve the problems we all face. Still, when it comes to women speakers, locally, things tend to vary from event to event with 27% female speakers at JSHeroes and only 13% at Techsylvania, the gap between male and female speakers remaining an issue that’s worth our attention. Read more about how do you choose the right tech events to attend, but also about getting to conferences and becoming a speaker in this article written by Wolfpack Digital.